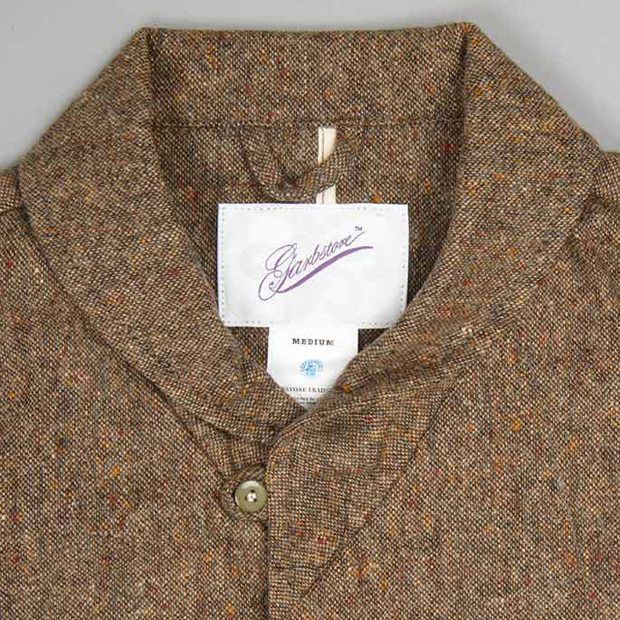 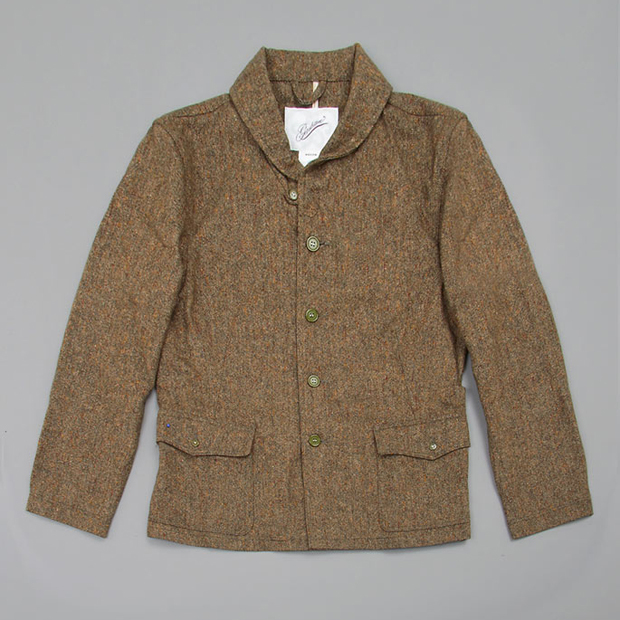 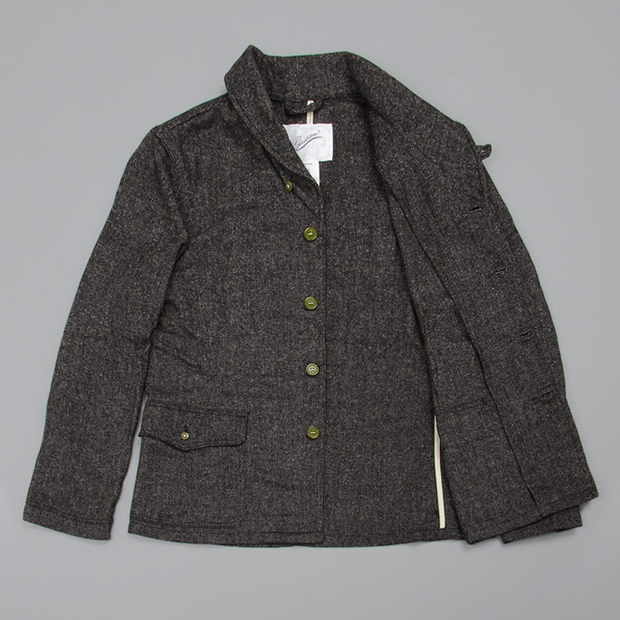 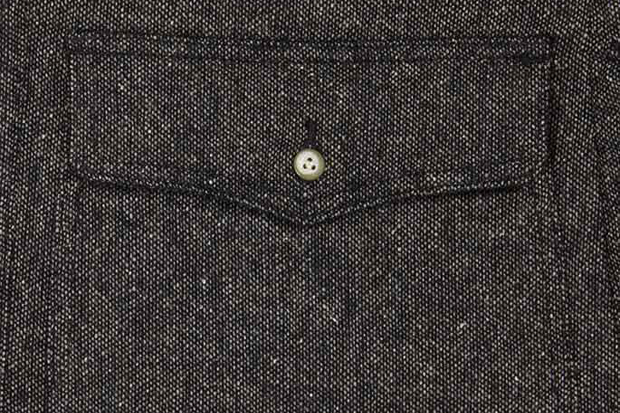 London’s Gabstore comes correct with this 1930’s USCS influenced sporting jacket. Made from a combination of Wool, Silk, Polyester and Nylon, this Japanese fabric jacket is of a high quality – but that is expected, as it’s a Gardbstore product. 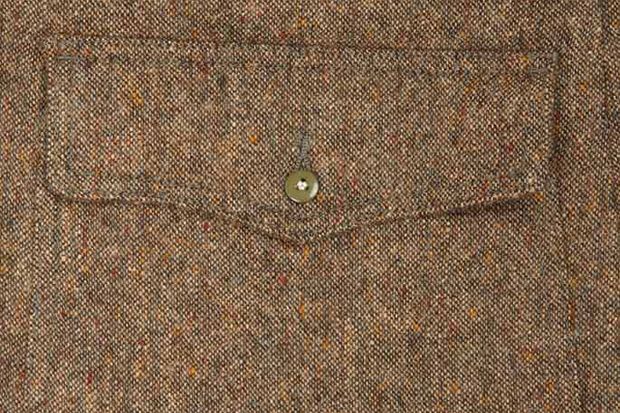 The vintage style buttons in a military Green really pop on both colours of the jacket (Grey or Chocolate). 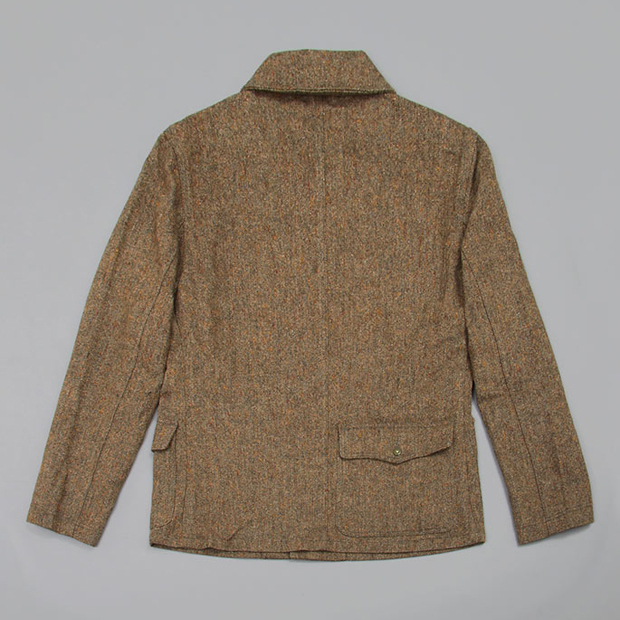 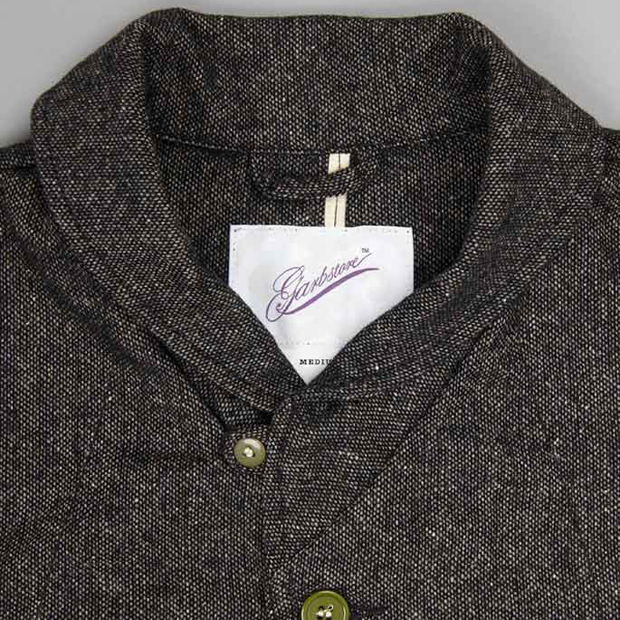 The single layer shawl colar and two front pockets keep this jacket very casual, whilst the rear shell pocket adds that hunting / sporting feel. 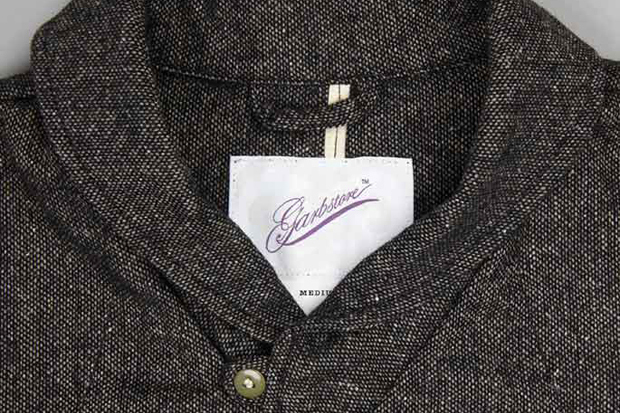 The triple stitching on the overarm at the shoulder keeps this jacket durable and functional, helping to lengthen the life of the jacket. 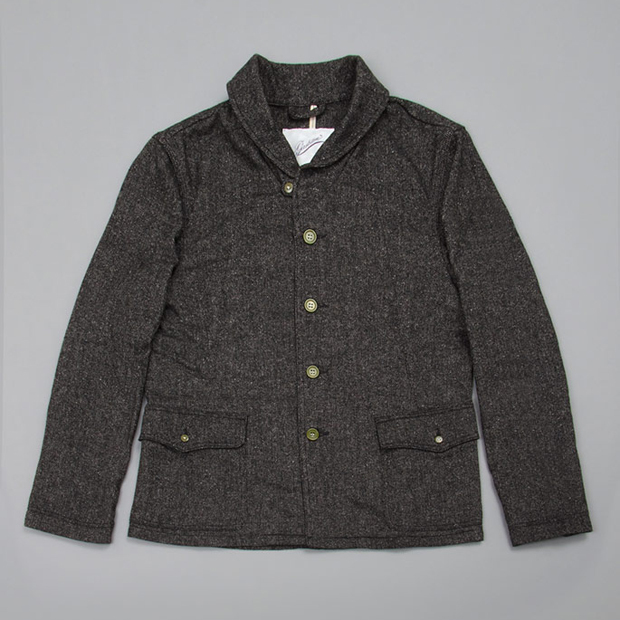 Both the Grey and Chocolate rendition of this United States Civilian Service jacket are available now from Garbstore for a strangely precise £312.50 each.